In this article Ethan Sudgen of NMS Adaptive highlights the ways that they have helped their contact centre clients sell more. One thing that keeps my job interesting is that I get to work with all sorts of different clients. Some choose one service whilst others go for the full package. All of them have one thing in common – more sales. With over 20 years of expertise and the resources to carry out telemarketing, email marketing, content creation, website design, social media and more, we’re sure there is something we can do for your business. We continued our work with a local B2B technology firm.which has built a profitable model using business partners throughout the UK, with healthy, channel-led sales. The company directors realised there was much more potential in the channel. Around 80% of all sales were coming from just 20% of their established partners. Our task involved getting the channel performing to a higher level. We started a four part project by finding the right people at the companies they already knew about. From here, the team built a strategy to discover and contact new businesses in the channel. Starting with internet research, the next step was to use the in-house call centre and telemarketing team to call these businesses and arrange demonstrations with account managers. The company now has over 50 brand new business partners, creating more opportunities and sales in the channel. As we continue to work with the company in July, we will start email marketing campaigns and telemarketing to drive more sales from the channel. A national E-Learning company we work with had a large database of potential customers but did not know who the right contacts were at each company. They have team of highly qualified salespeople in the office, meaning the company is more than equipped to sell the services but do not have the resources and capacity to create their own leads. We provided telemarketing services for the company to provide new leads. The company now has a fully cleansed database, with the names and email addresses of the right people to talk to at over 150 businesses. They are now starting a direct marketing campaign to the new contacts, and are looking at using our call centre to follow up and turn the prospects into customers. One of our bigger projects this month has been calling old mortgage leads to generate new customers. Though the average mortgage lasts 25 years, consumers typically change lenders twice during that time, creating something of a cycle every 5 – 7 years. The company has an existing relationship with a data supplier, acquiring new leads. We were able to create a supplementary lead cycle – adding to the new leads. The best part was the price – we were able to provide hot leads at less than half the cost – making a happy and even more profitable client! We were introduced to a London-based telecoms company last month. The business knew the advantages of telemarketing for appointment setting – but their best salespeople were out on the road selling products. We were able to offer an affordable and flexible solution, with a telemarketing team making calls to the company’s business customers to find the right contact and book visits for the sales team. The project combined both the data building skills required to find contacts but also sales skills in appointment setting. We recently helped one local company with entry into the US market. As the calls were being made to the USA, this project required a slightly different approach to telemarketing due to the time difference. We split the country into two parts: the Eastern and Central time zones were called in the afternoon, and the Mountain and Pacific time zones in the early evening. The strategy worked well, and our technology allowed the team to dial out using a US number and have a US return number, meaning potential customers were not charged for expensive international calls. The team also got to utilise their language skills when speaking Spanish in some of the southern American states! This month we are delighted to announce that we are now an ISMM accredited training centre, which formalises our passion and will make us even better at sales. 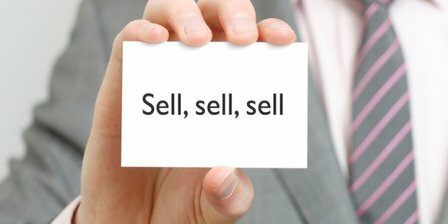 Be the first to comment on "Contact Centre: Ways to sell even more!"